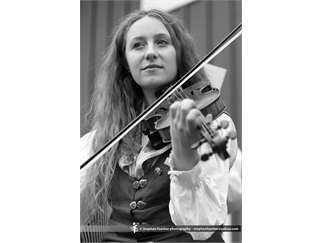 The Immigrant Fiddle Fest is a long held Swedish tradition where fiddlers gather on a lovely day, play tunes and teach each other new music. The music has never been written, it is always shared by playing only! This annual festival held on the museum grounds is a great activity for families. Spelman = Fiddler / Stämma = Gathering Celebrate the immigrant fiddle with musical entertainment, dancing and food! 10am Historic buildings, exhibits, art fair & food booths open 11:30 Food tent opens, serving PIG ROAST meal ($20). Games available. Hoop rolling, corn hole, dala croquet etc. Pig Roast menu: Scandinavian coleslaw, Summer Pasta Salad, applesauce, pickles, watermelon, BBQ sauce, lingonberry sauce and Swedish mustard available for your pork roast. If you’d like to see the pig being roasted – stop by the parking lot Friday night or early Saturday morning. It’s carved up early – between 8 – 10 am.